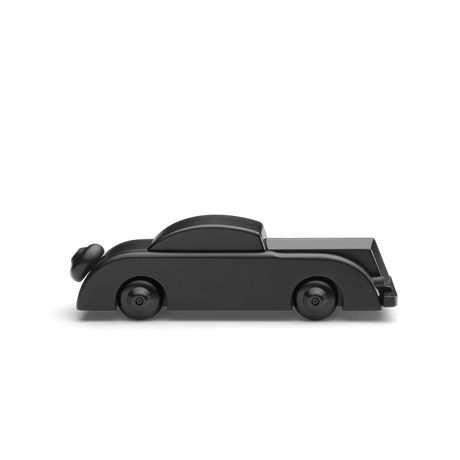 The Limousine, created in collaboration with furniture designer Ole Wanscher, is about as simple and elegant as it gets, and now two deluxe convertible version are purring out of Kay Bojesen’s garage, sure to appeal to petrolheads and cult design enthusiasts alike. 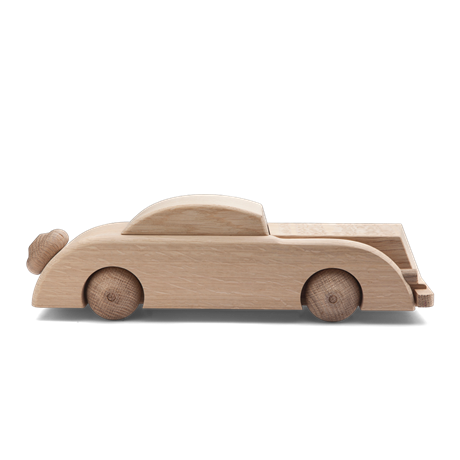 The elegant gas-guzzler with the long frontage fits perfectly with Kay Bojesen’s signature: wood with vibrant, smiling lines. Both the black-painted model and the full-blown oak car create the illusion of acceleration with a revolving engine and, like Bojesen’s other designs, the finely worked surface invites an admiring touch. The Limousine is an obvious choice as a gift for new homeowners, newlyweds and students as they drive off to achieve their new goals in life, and the streamlined design is also a luxury plaything for interior design aficionados who use the cars in dynamic tableaux around the home, in black tone-on-tone or neutral wood-on-wood.